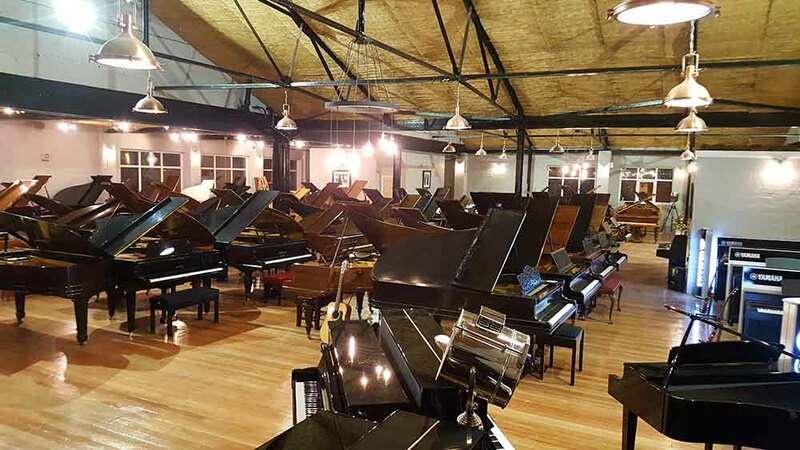 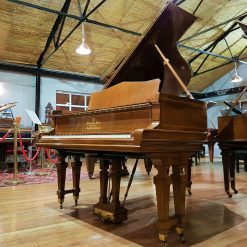 A powerful, forceful presence, CX Series pianos possess a wealth of reverberation, taking in the nuances of a player’s intentions and reflecting them in the depth and projection of the music itself. Silent functionality has been added to this Yamaha C1X. 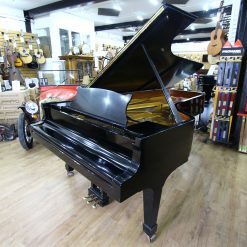 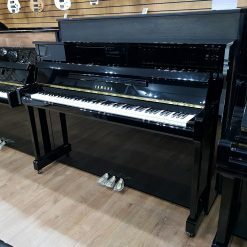 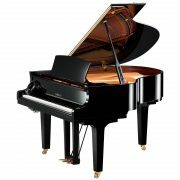 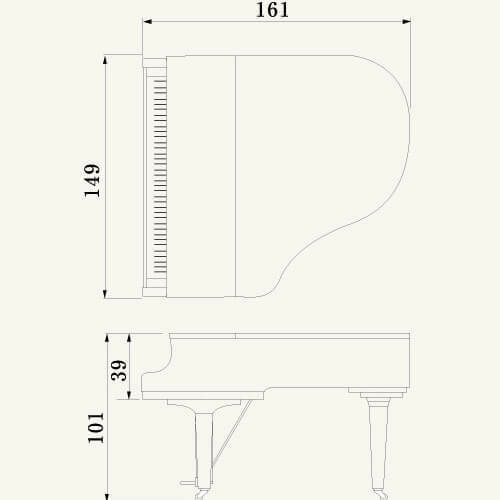 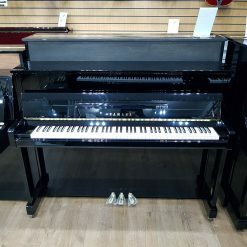 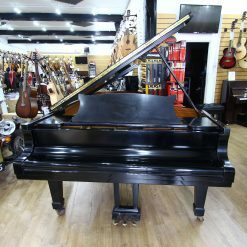 This is an SH-type Silent Piano™ featuring a CFX sound source. [ Binaural sampling system ] A recording system in which microphones are installed in the ears of a dummy (see diagram) so that the sound can be reproduced the way it is heard by the player. The SH type has a built-in metronome that can be used in “Silent” mode so that players can listen to precise rhythm through headphones while they play. While conventional grand Silent Piano™ require lever operation for switching to “Silent” mode, SH type Silent Piano™ do it all via motor activation with a single press of a button. 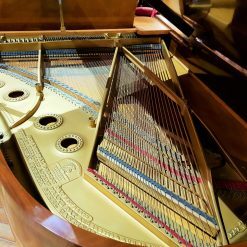 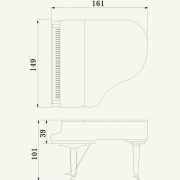 Speaker output terminals have been newly added to the GM unit installed at the bottom of the tenor section of SH type pianos. 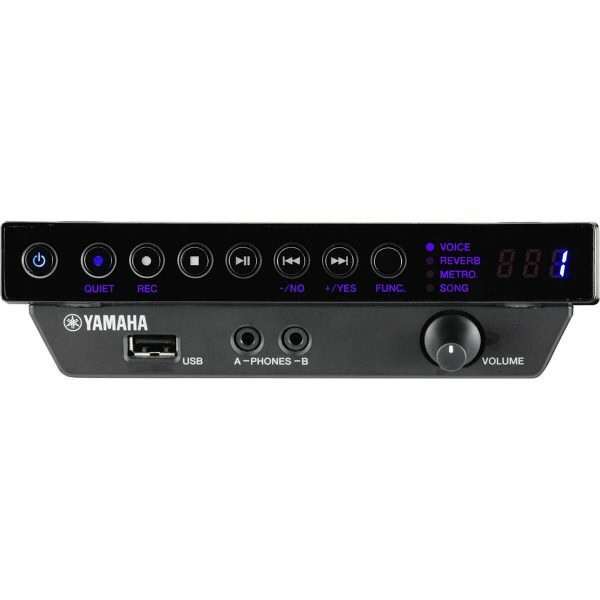 By connecting speakers equipped with built-in amplifiers to these output terminals, the performance conducted in “Silent” mode can be output through the speakers.